If you're at all into flashing a custom rom on your smartphone, you may have heard of MIUI which is one of the leading OEM flavors from Asia. This rom is one with quality, cutting edge design, a haven for themes and if nothing else just the sheer awesomeness of the whole experience. 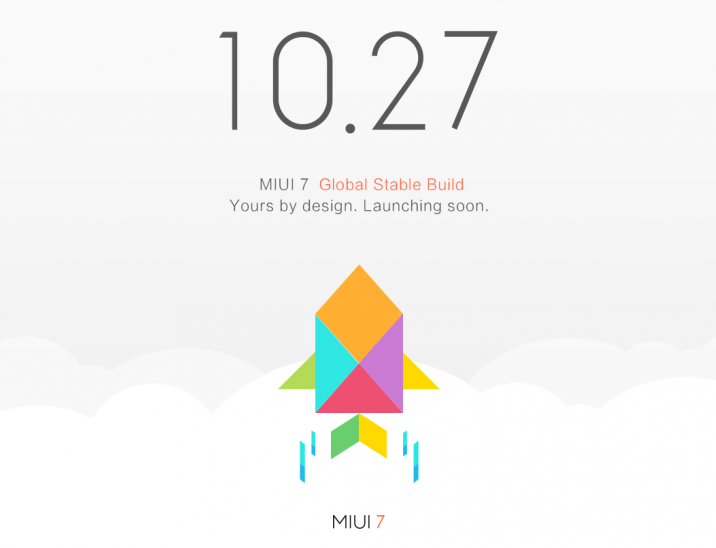 The launch of the new MIUI 7 is schedule to be on October 27th and it will be done globally. Anyone interested in this room should checkout the details for your own smartphone and it's availability.